Lampung, is one of provinces in Sumatra Island. Like any other regencies in Indonesia, Lampung is also having rich in cultures. These diversities can be shown at the various of traditions and customs they have. One of the rich cultures from Lampung is coming from the traditional dances. Jangget Dance is one of those traditional art dances from Lampung. This dance is always been held during ritual ceremony and it symbolized the virtue of Lampung people. 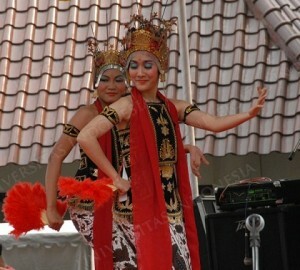 The dancers of this dance are women, and they wearing traditional clothes of Lampung. The movement is so delicate and gentle that represent the delicate Lampung women that identically beautiful and elegant.